“Believing is doubting, knowledge is power.” Of all the things I remember from my conversation with Prophet Ashton Travis Miller yesterday, that statement sticks out clearly in my mind. At that point he was encouraging me to watch YouTube videos by a couple of Rasta elders. He reassured me that they had nothing to do with religion, and were just the facts. With the facts, you know that you know; without facts, you just have belief, which leads to doubt. Although I think there’s room for belief where not every detail is accounted for – I have only the vaguest understanding of what keeps planes in the air, but I still love flying – I understand the comfort beneath his assertion. Moreover, I know that his statement was connected to the fact that he’s part of a religious minority in our country: somewhat respected, veiled in mystery, not generally taken seriously. 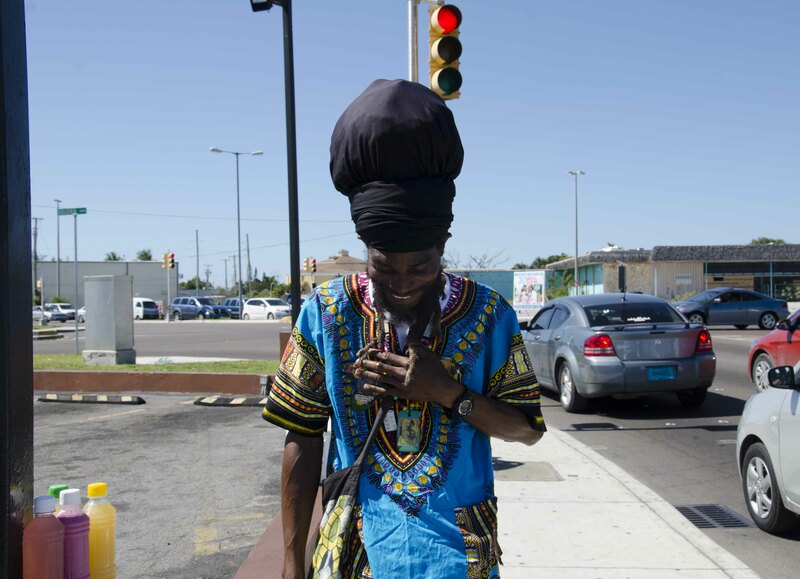 Travis has been a Rasta for 16 years, although if you ask him his first answer will be that he has always been a Rasta: their truths were his truths even before he was formally introduced to them. 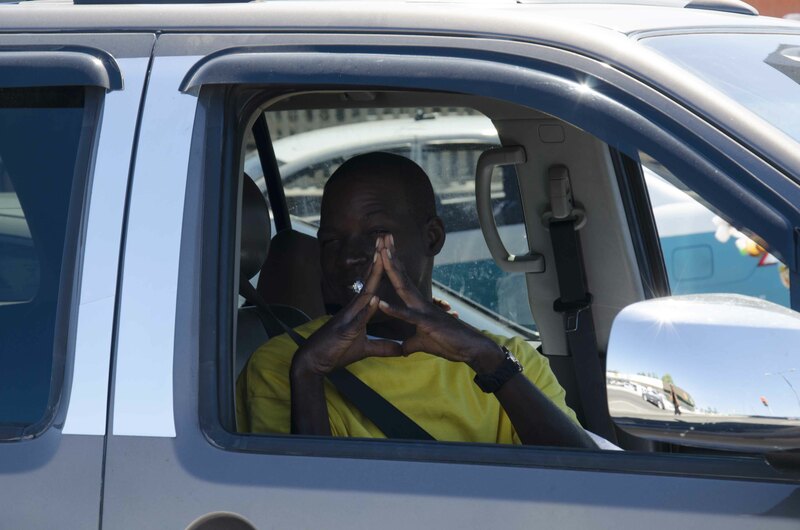 He was born and raised in Nassau, then he moved to Abaco for over a decade, and a few months ago came back to Nassau. I’ve never met a Rasta who didn’t sell peanuts, until Travis that is. 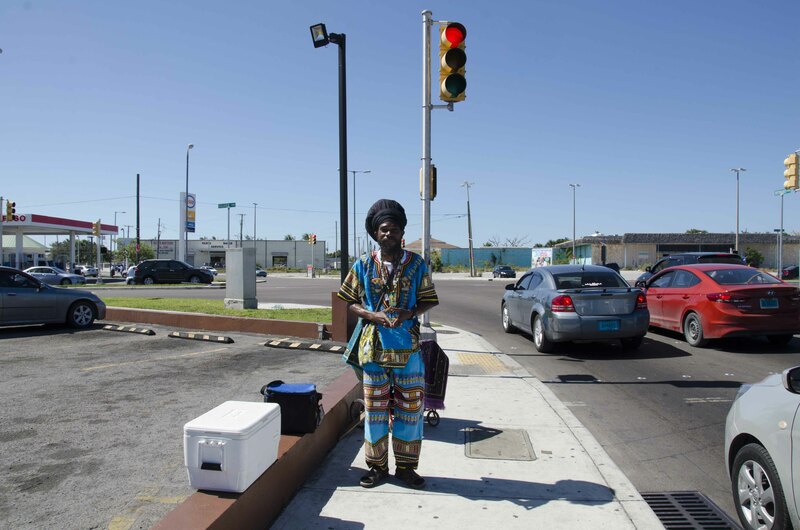 He stands by the light at the Bernard Road intersection, offering juices, punches and prayer mats. Here I need to make an important distinction. Most people consider a punch to be a mixture of juices right? For Rastas a punch is a drink that contains non-dairy milk. Plant-based, whole foods eating is a foundation of the Rastafarian religion. Long before it was trendy to eat organic and preservative-free, Rastas understood and preached the power of food as medicine. The finer dietary points vary from Rasta to Rasta, but in general their food is chock-full of nutrition. Things are no different with Travis. He’s got anti-inflammatory, antioxidant, brain-boosting juices like ginger-lime-turmeric and moringa-sorrel. Then there are the protein-rich, immunity-boosting and skin-clearing punches like peanut, beetroot and soursop. His work day starts around noon, and he “rumbles” at the light till 6pm when he packs up and heads home. Before he gets going he eats two veggie patties, and he sips a juice of his own through the afternoon instead of stopping for a break. I hung around with Travis for about an hour, watching as he spread love and goodwill to everyone driving by, regardless of whether they bought anything. 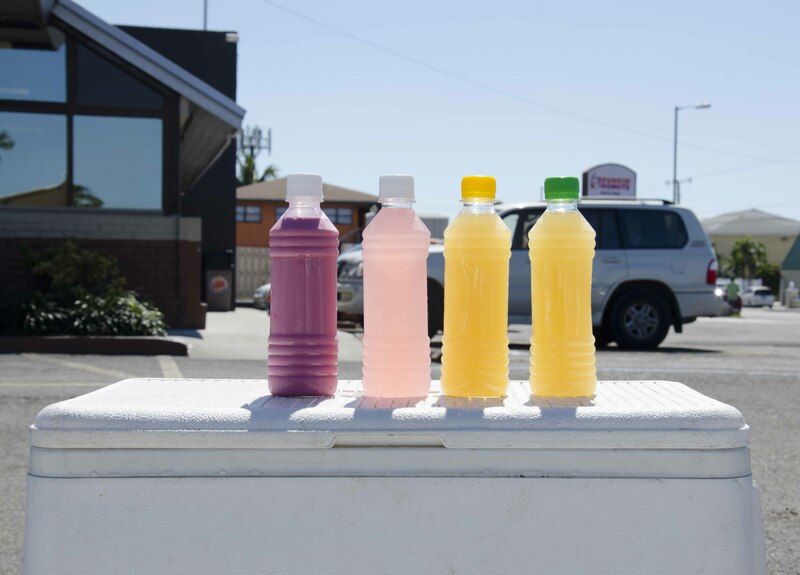 He already has a couple of regular customers, and I watched one driver recommend his juices to a potential first-time buyer. “They’re all good! That one is my favourite!” a woman said to the man in the car beside her. She was talking about the moringa-sorrel, which I already had my eye on; her endorsement sealed the deal for me and for the other driver. It was so good! Cool, refreshing and even more fun to drink because of its pretty pink colour. You might think that waving a camera around in public places would have people ducking and hiding their faces, but it’s not unusual for people to flag me down and pose for me. Now that I think about it, this has only happened with men and boys. Wonder what that means? Anyway, yesterday was no different: a couple teenagers and a man in a jeep waved for my attention. It was a fun way to spend the afternoon. 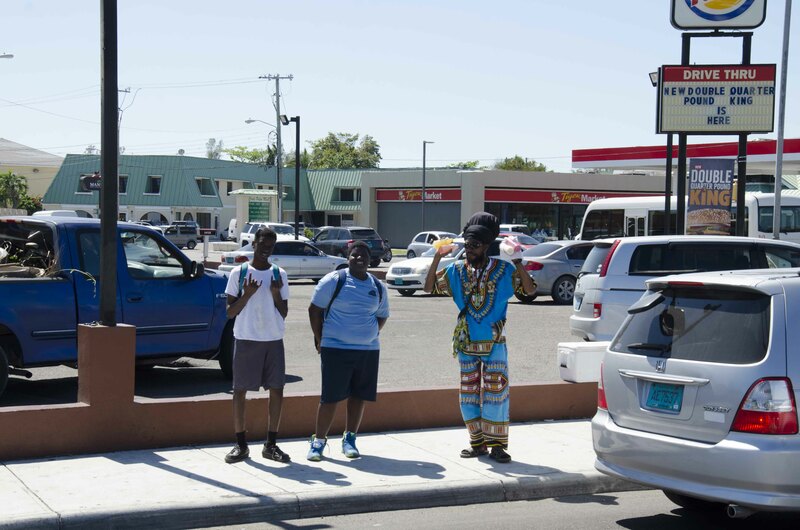 Travis was friendly and open, and taught me more about Rastafarianism. For instance, he told me that they teach self-reliance, self-confidence and self-sufficiency – hence the abundance of Rasta entrepreneurs! He was also generous, gifting me that moringa-sorrel juice I enjoyed. He’s selling drinks for a friend at the moment, until he can get his own operation up and running again. Hopefully that day comes soon. If you’re ever in the area don’t hesitate to support! Thank you! Yea we had a great conversation. 🙂 I continue to be amazed at people’s openness when I approach them. It’s a wonderful thing!